https://flic.kr/p/TKVLTD Justin Trudeau and Donald Trump meet at the White House. Along with every new year come clichéd notions of a fresh start, new beginnings, and better relationships in the following twelve months. It can likely be assumed that many in the international political community are hoping that as Donald Trump enters into the second year of his presidency, he will take these clichés to heart and surprise us all with a more level headed and conventional approach to governing. However, recent derogatory comments in a bipartisan meeting regarding immigration legislation may have snuffed out any flicker of optimism for a less tumultuous 2018 in the White House. Cross-border relations are set to be more tense in 2018 than in the past. This year probably will not feature Trump’s best efforts to shore up damaged international relationships either. One of those relationships is with America’s neighbour to the north. 2017 was a bad year for Canadian-American relations, and issues from last year were not left in the past by the two nations. Cross-border relations could see their worst year yet in 2018. What justifies such a gloomy outlook? The Canadian government started off the year with a bang by filing a complaint against the United States at the World Trade Organization (WTO). The complaint stemmed from hefty trade duties the United States placed on Canadian softwood lumber imports. It is a broad complaint that can be seen as the culmination of years of questionable tariff practices by the United States. The WTO complaint, regardless of whether or not it is justified, is highly likely to damage the relationship between the two nations. The past two years have shown that Donald Trump, as both candidate and president, does not respond well to criticism. Canada’s overt criticism of his administration’s trade practices will likely elicit some form of retaliation. Given President Trump’s reputation for unpredictability, a nightmare could be brewing for Canadian trade. 75% of Canadian exports are sent to the United States and trade is a fundamental part of the countries’ relationship. American officials have already indicated that they find the claim aggressive and unfounded. Therefore, it is unlikely that there will be talks to solve the dispute outside of WTO mediation. A legal battle between Canada and the United States will no doubt loom over other aspects of their interactions. The WTO complaint does not only cite American actions against Canadian exports, though. Importantly, products from China are also mentioned in the complaint as being unfairly hurt by American tariffs. It is possible that Trump could take this to mean that Canada is defending China’s exports. China and its trade practices have long been favourite targets for Trump to decry as the reason for America’s economic woes and loss of manufacturing jobs. However, what the WTO complaint leaves most vulnerable is Canada’s position at the NAFTA negotiating table. The trade agreement that Candidate Trump railed against as “the worst trade deal maybe ever signed anywhere” has been the subject of multilateral talks between Canada, the United States, and Mexico for the past few months. Canada’s bold action at the WTO takes away any incentive for Trump’s negotiators to cooperate fully with the Canadian delegation. It is also possible that Trump himself may take the complaint as further validation of his sentiments on NAFTA as exhibited above. Why would the United States, deep in the process of becoming “great again”, want to negotiate with a country dead set on attacking American jobs? Justin Trudeau and Donald Trump meet at the White House. To Trump, it is unlikely that the historically close and warm relationship that the country he leads has had with Canada will mean much compared to the praise he will receive from his base voters for pulling out of NAFTA. The president cast aside the advice of several experts and world leaders to appease that base and announce a withdrawal from the Paris Climate Agreement. There is no reason why the President could not tank the strong relationship the United States has developed with Canada as a petty political tactic. Canada needs to be prepared for this possibility. As the city of Montréal prepares to host round six of the scheduled NAFTA talks, Canada is going to have to do some heavy lifting to maintain its influence. Goldman Sachs has predicted a six per cent drop in the value of the Canadian dollar should Trump announce intentions to withdraw from the treaty. 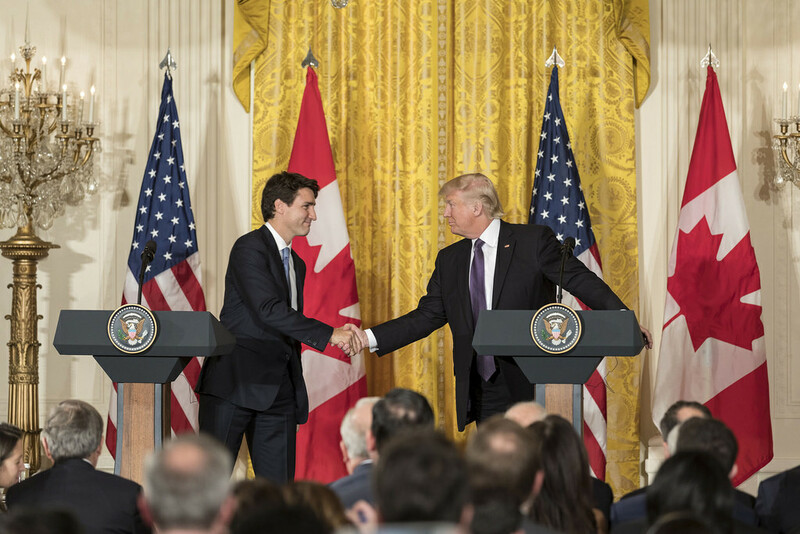 The amicable nature of Canadian-American relations are not the only stake in the game for Canada – the Canadian economy is at risk as well. Trade is not the only threat to the two countries’ friendship in the coming year, however. President Trump’s decision to end the Temporary Protected Status for Salvadorans has raised questions on the possibility of another influx of asylum-seekers across the Canadian border. The summer of 2017 saw an enormous number of Haitians seeking asylum in Canada following the cancellation of their protected status in the United States. 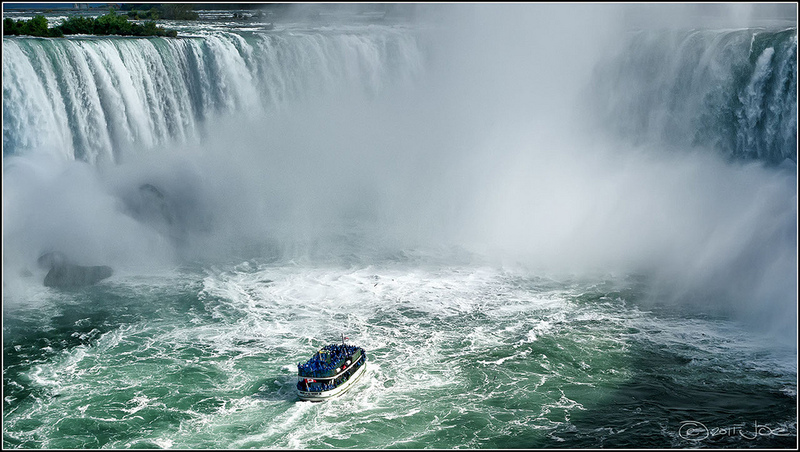 The Canadian immigration system was put under incredible strain. Friction between the United States and Canada could arise if Canada is left to handle another migration crisis as a result of American policy. 2018 does not look promising for the state of Canadian-American relations. An optimist might say that the two countries have too much history and interdependence for there to be a risk of serious damage to their relationship. However, the Trump administration has the tools and motives to perturb Canada and keep the country at arm’s length, a situation beneficial to no one. Canada and the United States are set to co-host international talks on North Korea this month in Vancouver. Will trade tensions spill over and spoil the spirit of cooperation? The answer, and the results of these meetings and those regarding NAFTA in Montréal, could set the tone for a potentially bumpy year for the United States and Canada.